The current CM of Andhra Pradesh has announced on several occasions that he wants to create more job opportunities for the educated youngsters. But the condition of unemployed candidates is not good. To offer them some solace, the state has implemented a new grant scheme for jobless youngsters. The name of this scheme is Mukhyamantri Yuvanestham Scheme. Under this project, the state will offer a certain monetary amount that will boost the morale of these youngsters. Development of job sector – This scheme will reduce unemployment indirectly. Though it does nothing to increase job opportunities, it will provide applicants with encouragement and training. These will come in handy in their journey to bag a job. Financial grant – The state government will provide all unemployed people applicants with Rs. 2000 per month (Doubled in budget 2019-20) as a grant. Payment frequency – All applicants will get their unemployment grants on a monthly basis. Total beneficiaries – This scheme will be able to offer financial grant to as many as 12 lakh young jobless individuals for the time being. Vocational training – It has been mentioned that state will organize vocational training camps. Here, unemployed individuals will be able to sharpen their skills. Apart from this, AP government will also provide opportunities for on-site preparation. Residential eligibility – Only legal residents of this state will be able to get this monetary assistance. Applicants must furnish their residential certificates. Age related requirements – It has been mentioned by the state government that jobless individuals, who belong to the age of 22 to 35 years, will be able to apply. Thus, age proof certificates are a must. Qualification – This scheme offers financial assistance to candidates who have academic qualification. Applicants must possess post-graduation or graduation degrees. In case they have graduation diploma, then the tenure of the program must not be less than two years. Financial background – The state government designed and implemented this scheme for the benefit of people who fall under the financially weak background. Thus, applicants must have BPL certificates to attain state assistance. Unemployed people only – In case the person is engaged with any private association that offers a regular salary, he/she will be barred from getting the benefits of this scheme. Not for students – If any candidate has already enrolled for any formal educational course, then he/she will not be allowed to attain the perks of this scheme. Not for PF account holder – In case the jobless person has a PF or Provident Fund account, he/she will not be able to get the benefits of this project. Aadhar card – All applicants must have their Aadhar cards. Without this, they will not be able to apply for this unemployment scheme. Bank details – As the unemployment grant will be transferred in the bank account of all beneficiaries, it is mandatory for all applicants to have an active bank account. Bank, branch and account details must be offered for money transfer. Number of applicants – While most scheme offer unemployment benefits to just one member of the family, this project will offer the perks to more than one person. Households with more jobless individuals will receive Rs. 2000 per month. Assets in the name of the applicant – It has been highlighted in the project that applicants who possess cars, or immovable assets cannot attain the benefits under this project. As for land holdings, the total dry land area must not exceed 5 acres, while wet land holding must not be more than 2.5 acres. Former creditors – In case the applicant is already enjoying any financial assistance from the state government, he/she will be barred from attaining the new benefits under this scheme, if the former credit amount exceeded the Rs. 50,000 mark. Not for dismissed candidates – In case an unemployed person has been thrown out for a government, semi-government or private office, then they will not receive the assistance from AP government. NTR Bharosa Pension beneficiaries – To attain the perks under this new scheme, candidates also must have an enrollment under NTR Bharosa Pension schemes. Registration from any one scheme is enough. Praja Sahikara Survey participants – It has been mentioned that only those candidates who take part and complete the entire Praja Sahikara Survey process will stand a chance to get the state assistance. How to get application form and how to apply for the scheme? All interested and eligible applicants will be able to apply via two means. The state government has already launched an official site and an application. If an individual desires to apply via the portal, he/she will have to click on the link yuvanestham.ap.gov.in. For a new registration, the individual has to click on the link that is marked as “Apply Now / Login.” One can also reach this page by clicking on the link Yuva Nestam Online Login. This OTP will be sent to the official mobile number that is linked with the persons Aadhar card. Once the applicant verifies the identification with this OTP, the site will offer him/her access to the portal based registration document. On the first page, applicants need to type in their persona and residential details, along with birth date. After this, the eligibility and details must be filled in. Once the candidate has filled in the rest of the fields, he/she can submit the final form. How to download the mobile application? Apart from registration via the official site, interested applicants can also enroll with the help of the Android application. 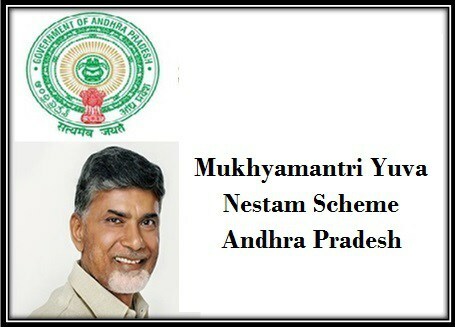 The state government has already launched the Mukhyamantri Yuvanestham Scheme Android Application. One has to download the app by clicking on the link Yuva Nestam Mobile App Download. The total size of this application is 4.3 MB. It has been developed by RTGS. Applicants can download the application for free. Once the candidate has successfully downloaded the application, he/she needs to type in the Aadhar card number. Then the person has to click on the option “Nirudyoga Bruthi Registration” to enroll. As the app based registration form appears, the applicant will have to type in his/her personals, residential, and academic details. He/she must also mention the final examination passing year. Once all details are typed in, the candidate can save and submit this application by clicking on the “Agree” button. These details will then be scrutinized and final selection will be made accordingly. This unemployment grant is not adequate for jobless people in recent times. The scholarship will boost young, educated unemployed individuals to try their best to attain a job. In case they fail to bag a job, they can also better their vocational skills, by joining the training institutes, which will be organized by Andhra Pradesh government soon.